An investigation by ESPN into the food safety at stadiums and arenas across the United States included Citizens Bank Park (seen above), Lincoln Financial Field and the Wells Fargo Center. 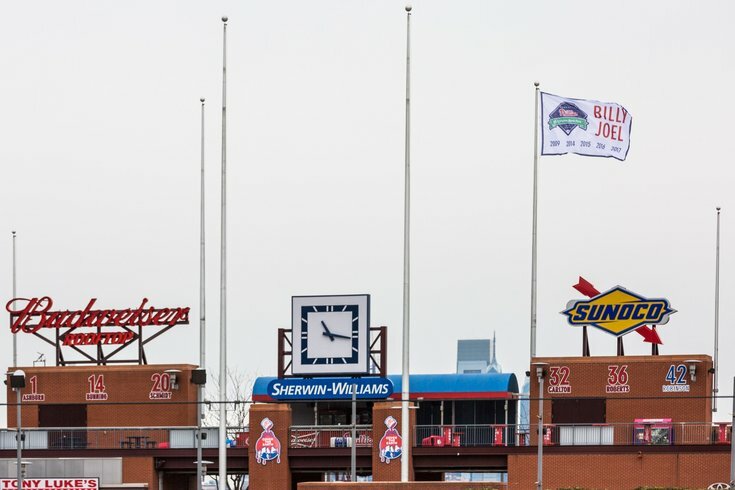 At Citizens Bank Park, inspectors found high-level violations at 43 out of 101 total service outlets monitored. Grabbing food at a Phillies, Flyers, Sixers or Eagles game is a vital part of the stadium experience. You'd like to believe you don't have to worry about the preparation of your finger foods, but an extensive new report from ESPN paints a nauseating picture of what goes at venues around the United States. Researchers for the network's "Outside The Lines" series collected nearly 17,000 food safety inspection reports from health departments that monitor all 111 professional teams in the four major American sports. The reports, all based on routine checks, came from 2016 and 2017. About 28 percent of the venues under review incurred at least one high-level violation at half or more of their food service outlets, according to the report. The high-level designation means that the violation has the potential to spread food borne illness. Violations were broken down into six categories: temperature, employee-related issues, bugs and pests, poor condition of food, equipment failures and problems, and "other" concerns. Some of what was uncovered at Philadelphia's stadiums, which are served by locally-based Aramark, might make you second-guess future purchases. • Food prepared on top of trash receptacle. • Pink slime on an icemaker and hair in an ice bin, as well as mouse droppings on the floor of a cooler where pizzas were stored. At Lincoln Financial Field, high-level violations were found at 32 out of 96 total outlets inspected. • Dairy products in the owner's suite were stored at 53 degrees when they should have been kept at 41 degrees or lower to prevent spoiling. • Mouse feces was found on the floor and at wall junctures of a dry storage area. Exterior openings did not prevent rodents or insects from entering the concession. • Mouse feces was found behind a beer cooler and behind an ice machine in the food prep area of one concession. • Raw animal food stored above ready-to-eat food in a cooler. The "Outside The Lines" report found that the worst venue in North America was Charlotte's Spectrum Center, where 92 percent of outlets inspected had high-level violations. That was followed by the since-closed Palace of Auburn Hills in Detroit (86.11 percent) and the American Airlines Center in Dallas (83.08 percent). The three best venues in North America were Oracle Arena in Oakland (1.12 percent), State Farm Arena in Atlanta (4.17 percent) and NRG Stadium in Houston (4.44 percent). Attempts to reach Aramark, which serves 200 stadiums, arenas, convention centers and concerts around the country, were not immediately returned on Monday afternoon. The sports venue concession industry is valued at $2 billion and generally must conform with some version of the U.S. Food & Drug Administration Food Code, or the equivalent in Canada. While high-level violations don't necessarily mean that concessions are unsafe or unsanitary, the risks are more pronounced because of the large number of people these venues serve in short periods of time. ESPN's full interactive report can be found here.